Glad has taken freshness to a whole different level by showing real-time results of food freshness and integrating this into a billboard campaign. This outdoor board, made from 680 orange slices, highlighted the ability of Glads plastic wrap to keep food fresh. Some slices were wrapped in Cling Wrap, and as the other slices rotted, the message "Fresh Longer" became visibile. Read more about this campaign on adweek.com. Virtual Images has been named recipient of a silver Davey Awards in the category of design, business-to-business direct mail. The winning piece, titled "Universe", was part of Virtual Images 2015 self-promotional campaign. This 3D postcard was designed by Virtual Images Creative Director, Adam Johnson. A unique 50-cent coin from the Royal Canadian Mint showcases two different Christmas-themed images as its tilted from side to side. Appearing as the ninth release from the Mint’s annual series of holiday lenticular coins is the 2015 50c Holiday Toy Box Coin. Previous coins in the series sold out. Designed by Canadian artist Joel Kimmel, the coin’s first image is of toys, a closed toy box and wrapped presents as they would appear on Christmas Eve. Tilt the coin to its side and a second image emerges that shows the box overflowing with new toys that were unwrapped on Christmas morning. Newly opened presents around the toy box include a model airplane, a world globe, a tin robot, blocks, and an antique style metal toy car. For more on this holiday toy box coin, visit coinnews.net. 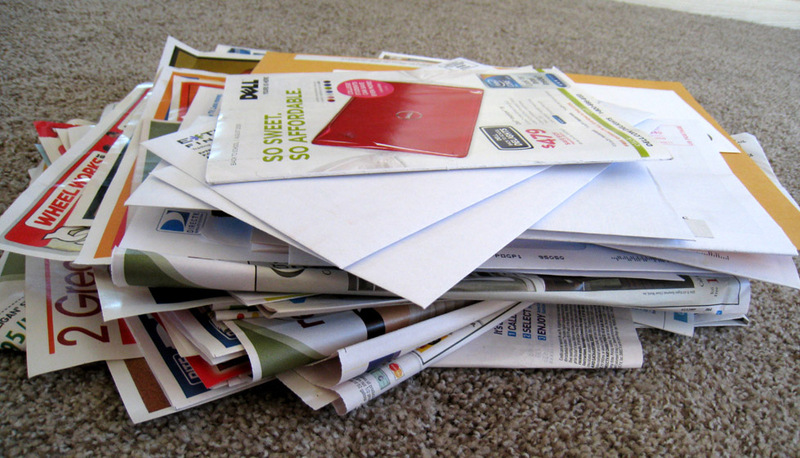 "Direct mail, snail mail or just mail — whatever you call it — is not dead. In fact, it dominates ad spending by local retailers, taking up more than 43 percent of retailers’ total advertising budgets according to a 2013 report from small business research firm BIA/Kelsey." Read the entire article on All Voices by Barry Eitel here. Travel Tags executives visited the KBA factory in Germany to see their press being built. (From left) Chris Travis, KBA director of technology; Mark Smolik, Travel Tags operations manager; Roland Gebauer, KBA sales manager; and Larry Eidem, Travel Tags operations project manager. INVER GROVE HEIGHTS, Minn.—August 6, 2015—To maintain its top quality production, impressive customer service and technological innovation that sets the company apart from its competition, Travel Tags, a leading award-winning provider of stored value card manufacturing and manufacturer of lenticular, 3D, animation and motion graphics solutions, will be adding a new KBA UV sheetfed press. “We are truly excited about the new KBA Rapida press investment made by Travel Tags,” commented Steve Korn, KBA director of national and key accounts. PHILADELPHIA—May 29, 2015—This 2015 Gold Ink Awards entry, titled “Universe,” was entered into the Direct Mail category, by lenticular specialty printer Virtual Images, headquartered in Redland, California. The direct mail piece was designed by Adam Johnson, lead creative at Virtual Images. A lenticular lens was applied to this direct mail piece the 3-D world. A lenticular lens was applied to this direct mail piece to create a 3-D world. “Universe” was printed on a 40″ KBA Rapida 104 sheetfed offset UV press, for a press run of 10,000 sheets. Multiple colors were used for this project, as well as diecutting (rounded corners). According to Maile Kaulukukui, sales and marketing program manager at Virtual Images, a lenticular lens was also applied (21.5 mil/100 lip), which she says, creates lots of depth that can be viewed at a hand-held distance. 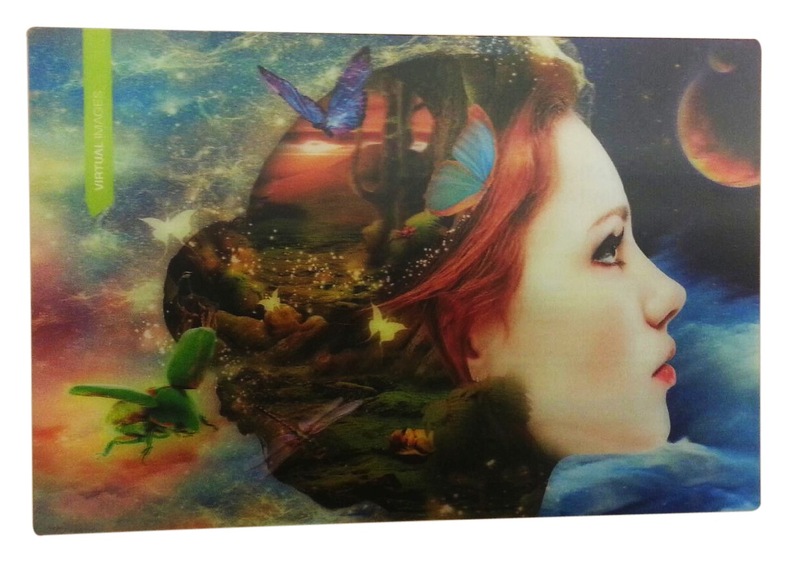 “Lenticular printing is a highly specialized process, and the design, art preparation (interlacing), and printing require substantial expertise and experience,” Kaulukukui further explains. “Universe” was produced in Virtual Images’ production facility in Inver Grove Heights, Minnesota. The plant is G7 certified, as well as humidity and temperature controlled. Kaulukukui adds that the company has made investments to its press to optimize cooling and to allow for exceptional image register and consistency on lenticular materials. Back of the direct mail piece. The back of the mailer invites readers to learn more about the art of dimension. Read more about the Gold Ink awards and how to enter here. In January of 2013, Wal-Mart made a huge announcement to buy an additional $250 billion in US made products by the year 2023. In the last two years since, the company says suppliers have made huge adjustments to change the ways products are produced or assembled in the US. 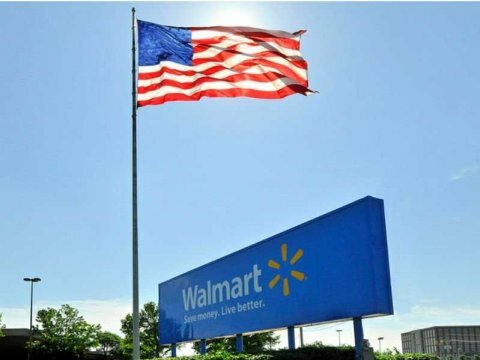 To look where it makes sense to manufacture or assemble products in the U.S.
Read more about Wal-Marts Made in the USA initiative on Packaging Digest. New details have emerged from LucasFilm/Disney regarding the first Star Wars stand-alone film, Rogue, as well as updates on the release date for Star Wars: Episode VIII. Disney chairman and CEO Bob Iger shared initial details about the film Rogue with shareholders at the Palace of Fine Arts in San Francisco. This film will be directed by Gareth Edwards, who has recently directed Monsters and Godzilla, and written by Chris Weitz. The film will begin shooting this summer and will be released in December 2016. For more information on Rogue, visit www.starwars.com. The groundbreaking photo-editing tool marks a quarter of a century with a new ad campaign and a creative showcase. To celebrate this milestone, Adobe is launching an advertising campaign, entitled Dream On, on The Academy Awards, featuring work from artists and iconic movie images that used Photoshop, including Avatar, Gone Girl, How to Train Your Dragon 2 and Shrek. 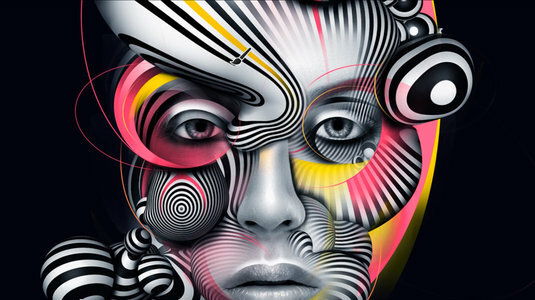 Adobe is also marking the occasion by showcasing 25 of the most creative visual artists under 25 who use Photoshop. To be considered, artists need to upload their projects to Behance and use the tag Ps25Under25. Read this entire story at Creative Bloq. Design still matters, according to a University of Chicago study by Sian Beilock. "Subtle changes in the placement or packaging of products can have big effects on peoples desire to buy them," Beilock tells NPR. 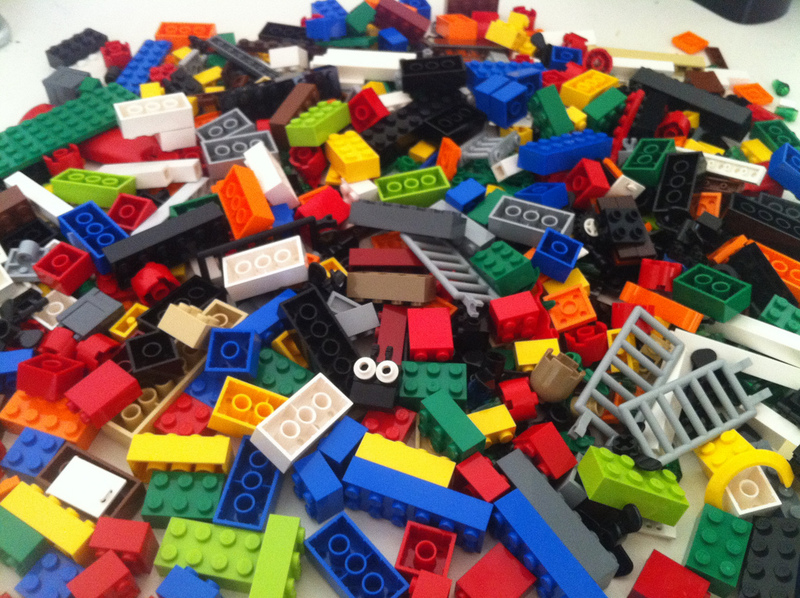 In one study, the scientist asked volunteers to move one of two objects on a table, whichever one they preferred. The study’s subjects were more likely to grab a spatula or a spoon placed with the handle pointed toward them than one that was placed with the handle facing away. More than 60% of the time, people liked the object that was easier to grab. 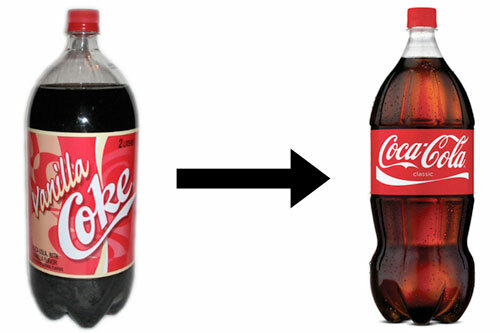 In 2008, Coke redesigned its two-liter bottle a few years ago to make it curvier and thus, easier to hold and pour, in the words of a Coca-Cola representative. And suddenly, Beilock reports, Coke was selling a lot more of its two-liter sodas than archrival Pepsi. "With the explosion of online marketing there is a temptation to set aside direct-mail as a means of reducing spending. That temptation is even more persuasive when a false comparison is used, such as direct-mail vs. e-mail, without looking at the numbers. Nobody downloads an e-mail and puts it up on the refrigerator with a little magnet, and sees it 20 times a day until they call. That might happen with a well-designed letter or postcard received in the mail though. What advertisements are on your fridge? Any emails there? Probably not." The California eighth-grader has launched a company to develop low-cost machines to print Braille, the tactile writing system for the visually impaired. Tech giant Intel Corp. recently invested in his startup, Braigo Labs. Shubham then did some online research and was shocked to learn that Braille printers, also called embossers, cost at least $2,000--too expensive for most blind readers, especially in developing countries. "I just thought that price should not be there. I know that there is a simpler way to do this," said Shubham, who demonstrated how his printer works at the kitchen table where he spent many late nights building it with a Lego Mindstorms EV3 kit. "My end goal would probably be having most of the blind people ... using my Braille printer," said Shubham, who lives in the Silicon Valley suburb of Santa Clara, just minutes away from Intel headquarters. ARE RETAILERS EXPERIENCING POST-HOLIDAY FATIGUE FROM US CONSUMERS? New report from Bloomberg points to yes. 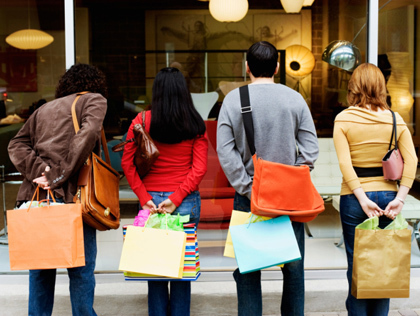 Retails slumped in December, according to a new report published by Bloomberg. Due to an almost 1% decline in purchases, followed by another 0.4% advance in November, this drop follows large gains in the start of the quarter signaling that consumer spending was still on the rise. Continued decreases in the unemployment rate and wage growth seem to be encouraging consumers to spend some, but not as much as retailers had wished. 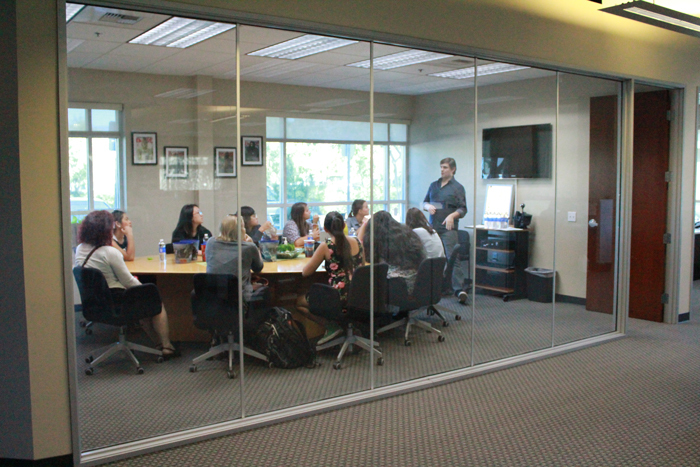 REDLANDS, CA – November 6, 2014-- Virtual Images, a division of Travel Tags, Inc., hosted an open house for University of Redlands design students. The focus of the event was a general overview of the role of a designer after graduation, highlighting some of the experiences of fellow alumni Jordan Falk and CSUSB alumni and lead designer Adam Johnson. Students were given a tour of the facility and a walk through of the basics of lenticular, which is a highly specialized print process where images are interlaced in a fashion to produce an optical illusion of either motion or depth. Students were also encouraged to apply for an internship with the company for Spring 2015. 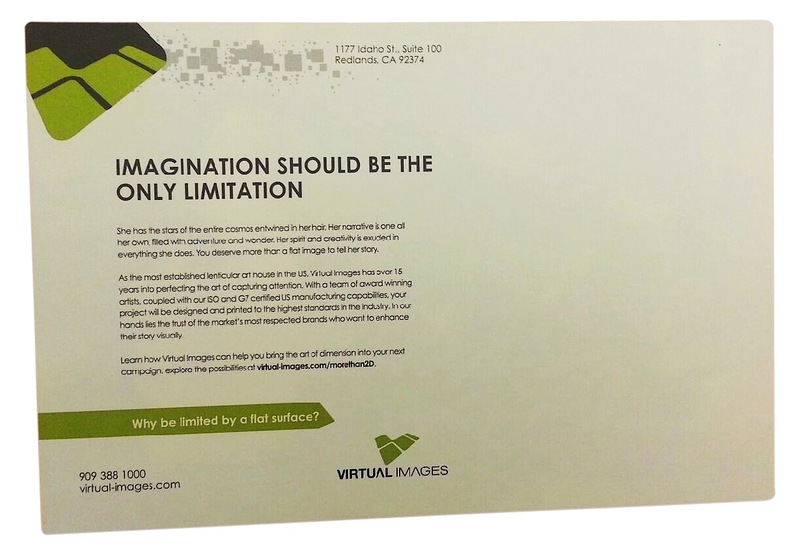 Virtual Images, leading provider of high-quality, US manufactured lenticular, has been named recipient of two silver Davey Awards in the category of business-to-business direct mail. The winning pieces are titled "Autumn" and "Smooth" and were both part of Virtual Images 2014 self-promotional direct mail campaign. The Davey Awards exclusively honor the “Davids” of creativity, the finest small firms, agencies and companies in the world. David defeated the giant Goliath with a big idea and a little rock - the sort of thing small firms do each year. The annual International Davey Awards honors the achievements of the "Creative Davids" who derive their strength from big ideas, rather than big budgets. The Davey Awards is the leading awards competition specifically for smaller firms, where firms compete with their peers to win the recognition they deserve. Happy Halloween from Virtual Images! GIFs have left the nest! For the streaming services launch in France, the agency created 100 different GIFs, some of which "reacted" to current events and even things like the weather (for example, a rainy scene from a film when its actually raining at a bus stop). Read the entire story on AdWeek. With a new data breach revealed every week, is it possible to safely share anything these days? Even passing notes in class risks a teacher intervention, unless you can smuggle this printer in your backpack. Clearly inspired by Mission Impossible, the messages it prints actually physically self-destruct just moments after leaving the machine, ensuring your secrets are kept that way. Read the entire story by Andrew Liszewski on Gizmodo.com. Thanks to digital devices, mobile in particular, the path to purchase starts long before consumers step foot in-store. Still, brick-and-mortar isn’t dead, as evidenced by a June 2014 study by ORC International for Capgemini. Among digital shoppers worldwide, 72% said the traditional store experience was important when making a purchase—the highest percentage out of locations and channels studied. The internet landed second, at 67%. "Undoubtedly, there was an evolutionary advantage to fast judgments about whom to trust, to follow, to challenge, and so on. In today’s world of business, though, such snap judgments aren’t always a good thing. Choosing a vendor, a political candidate, or a job applicant based on a 100 millisecond impression may not always yield the best results." Numerous studies have been conducted on faces and first impressions, using both photos of real people and computer-generated faces. It was a 2006 study by Janine Willis and Alexander Todorov at Princeton that established the power of those first 100 milliseconds. Read this entire article by Roger Dooley on Forbes.com. "Branding is well steeped in the marketing, design and advertising industries and you hear about it everywhere and let’s be honest, it’s a bit of old news. It’s been the buzzword ever since advertising went a bit cold after the 80′s and 90′s. People needed another way to compete beyond the razzle and dazzle entertainment of advertisements. So branding was born, as a ‘new and better’ way to connect with the people that you want to buy your product." Click here to read the entire article on thedieline.com. IS 3D PRINTING THE FUTURE OF FOOD? 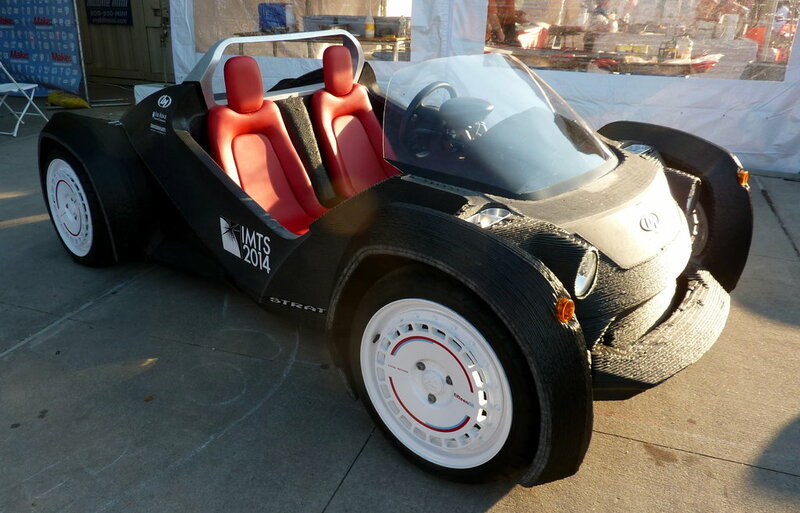 3D printed Pizza premiered at Rome Maker Faire. In the future, 3D printers will be as common a kitchen fixture as the microwave oven, and youll print everything from ready-made meals to fresh fruit on them. It sounds like something out of Star Trek – and in fact, the first people to try out 3D printed food will likely be astronauts. Anjan Contractor is working with NASA to develop a food printer that can be used by astronauts; hes already produced a 3D-printed pizza complete with tomato sauce and cheese. Though it may not rival Romes street food, its a vital step towards long space missions such as a manned flight to Mars. At present, NASA uses Meals Ready-to-Eat; packaged foods that are heated up aboard a spaceship. To read more about 3D printed food, visit stuff.tv. New numbers from Nielsen Books & Consumer showing that ebooks were outsold by both hardcovers and paperbacks in the first half of 2014. "According to Nielsen’s survey, ebooks constituted only 23 percent of unit sales for the first six months of the year, while hardcovers made up 25 percent and paperback 42 percent of sales. In other words, not only did overall print book sales, at 67 percent of the market, outpace ebook sales, both hardcovers and paperbacks individually outsold ebooks." This new film, Inside Out, is set in the mind of an 11 year old girl and features a cast of characters that are the different emotions that the girl has on a daily basis. The cast includes Joy (Amy Poehler), Fear (Bill Hader), Anger (Lewis Black), Disgust (Mindy Kaling) and Sadness (Phyllis Smith). Visit the Disney/Pixar YouTube channel to view this trailer in HD. Famous for its front page art has unveiled its newest innovation - the first animated cover used by a digital magazine. The animation called "Rainy Day" was created by a German artist named Christoph Niemann. Niemann has used animated gifs in the past, including a recent projects for Google Doodles for the first days of summer/winter and a project for MoMA called DESIGN AND VIOLENCE. Read the entire article on the New Yorkers animated gif cover here. In a recent video, published on the IKEA website, the furniture giant gives a subtle nod to the power of print. Among the features, the man says: The catalog is wireless, has an “eternal” battery life, and comes with “pre-installed” content that can be navigated page-by-page without lag. Pages can be “bookmarked” by turning down their corners, and the catalog supports multiple users via hand-to-hand sharing. In other words, it’s a typical paper catalog. The video, titled "Experience the power of the bookbook" is a spoof of Apples recent ad campaigns has gone viral, creating additional buzz for the retailers catalog,. Amazon announced today that it will offer it's new phone, the Amazon Fire, for $0.99 with a 2 year annual contract. "The 32-gigabyte phone previously cost $199 through AT&T, the exclusive wireless carrier for the device and the second-largest mobile carrier in the U.S. The Fire phone comes with 12 months of free membership to Amazon’s Prime fast-delivery and media-streaming service, the Seattle-based company said today in a statement." - source Bloomberg News. "Lenticular mode" is offered as one of the phone's many features, giving users the ability to capture many images and combine them into an animated gif for social media publishing. AdAge, in a partnership with TV Guide, recently published a Watchlist that allow users to make a list of their favorite shows. This Watchlist is based off of user's ratings, giving a ranking to those upcoming fall releases with the most users rating them at the top of their list. Also ranking in the top five most anticipated new series are NCIS: New Orleans (CBS), Flash (CW), Constantine (NBC), and How to get away with Murder (ABC). For more information on this Watchlist, visit AdAge's original story here. Virtrual Images, leading provider of high-quality, US manufactured lenticular, wins pewter in the category of dimensional printing. The piece entered, titled "Dancer" is part of Virtual Images 2014 self-promotional direct mail campaign. The Gold Ink Awards is the industry’s most prestigious print competition, from Printing Impressions magazine. For more information on the Gold Ink awards, visit their website here. TELEVISION SERIES “GOTHAM” PROMOTED WITH LENTICULAR AT COMICON! Television series "Gotham" was promoted in a huge way, with Virtual Images lenticular tags! Over 100,000 of these luggage tags were handed out at Comicon, both on the show floor and around the convention center. The company reported Monday that it added 1.69 million paying streaming subscribers worldwide in the second quarter. Netflix on Monday reported that it added 1.69 million paying streaming subscribers in the second quarter, enough to put it past 50 million for the first time. Read the Hollywood Reporter's original post here. 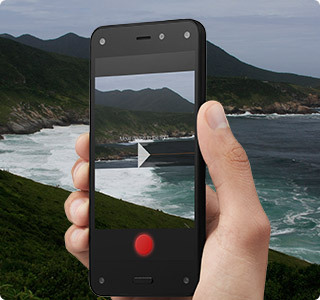 Amazon unveiled its latest Fire brand of devices this week, its first foray into the smartphone market with the company is calling Fire Phone. There’s several interesting features and services that were announced today. The rear-camera is 13MP with f/2.o five elements lens, Image Stabilization, as well as a dedicated camera button, which allows you to take a picture even if the screen is off. It will take 1080p video at 30 fps from both the front and rear-facing cameras. It can take shot with Panorama, Lenticular, and Burst capture. For more informatoin on the new Amazon phone, visit groovypost.com. Perth Mint of Australia has released a series of 3 silver coins that integrate lenticular. These 1 oz. silver coins feature 5 of the characters from the 2014 blockbuster, Transformers: Age of Extinction. Available in the Optimus Prime, Bumble Bee, Lockdown, or as a three coin pack. In celebration of the release of Transformers: Age of Extinction, The Perth Mint is proud to present a coloured Lockdown 2014 1oz silver proof lenticular commemorative. Four million years ago on the planet Cybertron, emotional and perceptive robots with the ability to think and feel, known as ‘Transformers’, inhabited the planet. This highly intelligent race of ‘robots in disguise’ was divided into two opposing groups, the heroic and admirable Autobots, and the evil Decepticons. With the ability to disguise themselves by transforming into everyday vehicles such as cars and trucks, the robots can live undetected on Earth." For more information on these coins, visit the Perth Mint website here. A new collector coin and stamp tell the story of the Ghost Bride who has made the Fairmont Banff Springs her eternal home since the 1930s when, upon stepping onto the staircase, she suddenly stumbled and tragically fell to her death. Since then, some claim to have seen an apparition dancing in the hotel's ballroom or walking down the staircase, as she did on that fateful day which brought a tragic end to her love story. The coin and stamp were unveiled today at the Fairmont Banff Springs. "Canadians have long recounted ghost tales that delight and frighten people of all ages," said Ian E. Bennett, President and CEO of the Royal Canadian Mint. "We're proud to produce coins that not only highlight such fascinating Canadian stories but also create a lasting impression through design and the innovative use of technology." Thanks to the creative use of lenticular technology, a uniquely haunting effect is produced when the coin is tilted: the bride's eyes suddenly spring open, while the candles that lined the staircase light up the once-black background. For more information on this stamp series, visit the Canadian Mint's press release. London design studio Raw Edges has designed a series of carpets that appear to change colour throughout the day. The Lake Collection was created for Persian rug company Golran and is based on the optical-art technique ‘lenticular’, commonly used by artists such as Yaacov Agam and Victor Vasarely. By varying the pile heights in the rugs, Raw Edges have created a patterned carpet that can be perceived differently depending on the viewer's vantage point. The illusion means that the rugs may look bright and colourful in the morning but become more muted throughout the day, changing their appearance in a way similar to the reflection of water from a lake. For more information about Raw Edges' rug collection, visit Design Milk. VIRTUAL IMAGES WILL BE AT LICENSE EXPO 2014 IN LAS VEGAS! Visit Virtual Images at booth H22 at the License Expo 2014, June 17-19 at the Mandalay Bay Convention Center. Stop by for samples of our high quality lentiucular drinkware, promotional products and consumer packaging. For over 30 years, Licensing Expo has connected the worlds' most influential entertainment, character, fashion, art and corporate brand owners with consumer goods manufacturers, licensees and retailers. Virtual Images wins a bronze award in the category of Industry Self-Promotion Collateral in this year's Summit Creative Awards. The piece entered, titled "Autumn" is part of Virtual Images 2014 self-promotional direct mail campaign. The Summit Creative Awards (SCA), a division of the Summit International Awards organization, has been established as one of the premier arbiters of creative excellence. For more informatoin on this award, visit their website. Latest report on Amazon's first branded phone, including leaked photos, suggests the company will play up the device's 3D interface, which is said to set it apart from the competition. "The other four front-facing cameras are low-powered infrared cameras that track the position of a user's eyes. This allows the phone to constantly adjust the position of the images on the screen, creating a 3D experience." Read more on Amazon's new branded phone on CNET. In anticipation of their newest release's opening weekend, Warner Brother is already in talks about a Lego Movie sequel. Universal revealed upcoming release dates for the future of two highly anticipated follow ups, "Despicable Me 3" and a new take on the classic film, "How the Gring Stole Christmas". Slated to release in 2017, Despicable Me 3 will be in theaters on June 30th, with the new Grinch film following later in the year. VIRTUAL IMAGES WELCOMES AL RAUSCH AS PRESIDENT OF TRAVEL TAGS, INC.
REDLANDS, CA – Virtual Images, a division of Travel Tags, Inc. today announced the appointment of Al Rausch as president. REDLANDS, CA – December 3, 2013 -- Virtual Images, a division of Travel Tags, Inc., announced today that John Tomczyk has joined the company as vice president of innovation. After a brief departure in 2012 to pursue other opportunities, Tomczyk has rejoined the company’s senior leadership team. He will play an integral role in driving the company’s growth initiatives, with a particular focus on advanced printing technologies and business and process innovation. A pioneer and innovator in the field of lenticular print techniques and card manufacturing, Tomczyk has over 22 years of experience in the industry and is sole or co-inventor on more than a dozen printing and dimensional imaging related patents. Tomczyk is responsible for breakthroughs such as dimensional gift and credit cards, dimensional in-mold labels, spot lens materials and many cards in Travel Tags’ line of sustainable solutions. “Travel Tags has made significant investments in talent and capital to be the World’s leader in card production and related services, and I am excited to get back to work to serve our customers to make their dreams a reality,” said Tomczyk. REDLANDS, CA – November 14, 2013 -- Virtual Images®, the nation’s leading provider of high-quality lenticular and specialty printed products, is pleased to announce its recent qualification as a G7 Master Qualified Printer. G7 is an international standard (TR015) for calibrating printing presses and proofing systems to a common visual appearance. The G7 methodology uses gray balance as the driving force for achieving visual similarity across all print processes. Virtual Images is now part of the elite group of proof and print service providers who have successfully proven capable of providing the highest quality color printing. By qualifying as a G7 Master Qualified Printer, Virtual Images has demonstrated that “thorough production of print and proofing, the knowledge and skill required and the fundamental practices essential to meeting the G7 methodology in a graphic communications production environment,” according to IDEAlliance, which manages the specification and the qualification process. IDEAlliance is a non-profit industry association guiding and publishing print media methodologies, specifications, and standards. Along with parent company and manufacturing location, Travel Tags — also G7 Master Qualified Printer — Virtual Images assures their customers that they benefit from the most modern printing technology, techniques and process controls available today in the graphic arts industry. Achieving color consistency when printing on multiple platforms, in various geographic regions, is a critical component in brand management. On Tuesday, Disney Home Entertainment releases "The Little Mermaid" Diamond Edition. The limited-time release brings the movie out of the Disney vault and marks the first time the film is on Blu-Ray. The combo pack includes the Blu-Ray, DVD version and a digital copy that not only features the story of Ariel, but is full of never-before-seen bonus features. Experience Iron Man like never before! 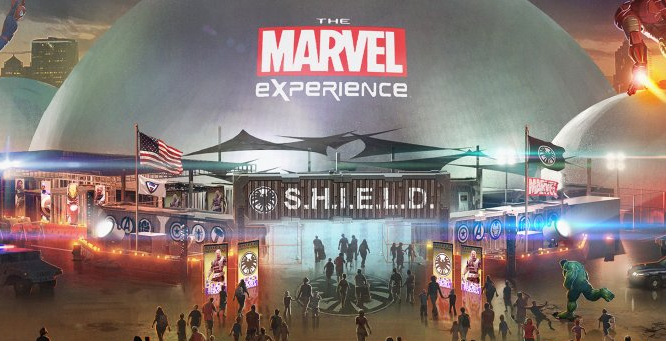 Marvel and Hero Ventures, an L.A.-based entertainment company is bringing a themed interactive tour to 20-24 cities called The Marvel Experience to the U.S., including a 4D motion ride featuring Iron Man. Kicking off in the spring of 2014, The Marvel Experience will feature 3D animation, digitally-projected animation, motion-comic origin stories, virtual reality/holographic simulations, merchandize and integrated social media. This groundbreaking and unique experience will be a traveling destination for fans and families, making everyone feel like a superhero. 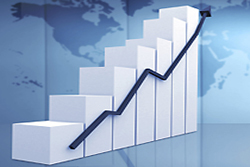 Packaged media is seeing a rise after a five-year downward trend, with sales up 2%, to $2.1 billion from $2 billion in the first quarter of 2012. According to DEG: The Digital Entertainment Group, sales of new releases on Blu-ray Disc were up 37%. Sales of catalogue titles on Blu-Ray were up 16% from the first quarter of 2012. The number of Blu-Ray homes continues to grow, with 3.2 million players sold in the first quarter. Overall, in the first quarter of this year, US consumers spent an estimated $4.69 billion on home entertainment purchases and rentals, up from $4.46 billion in the first three months of 2012. For more, visit "DVD and Beyond". Snail Mail is here to stay, according to the July trend report, “The Future of Correspondence”, delivered by JWT Intelligence. In a progressive wireless society, delivering packages and receiving physical mail sparks a new significance with sensory satisfaction. This countertrend that bypasses thoughtless tweets, texts, status updates and emails is seen as a friendly and authentic form of communication that is still relevant, though perhaps not the most convenient. This report seeks a mix between the physical and virtual realms by adding digital components to real-world mail and translating digital content into physical deliveries. For the full article, click visit JWT Intelligence.